A full year has passed since Lebanon’s presidency became vacant. Failure to elect a president does not happen in a country that claims to be sovereign and independent. It is also unknown in a system described by its defenders as “democratic”, and within a political entity whose factional leaders try to outbid each other to prove how much they care, to the extent of brandishing and using arms. Still, a full year has just passed in Lebanon with it not only devoid of a head-of-state, but also without wise heads to realize the gravity of the situation. I recall hearing a true story in my mountain homeland in Lebanon about a religious sheikh who was blessed with a clever son. The sheikh was keen for his son to get the high quality education his promise deserved, despite limited financial resources. He eventually managed this by selling the agricultural lands he had inherited from his father and grandfather. Fortunately for the sheikh, his high expectations proved to be well-placed. His son graduated as medical doctor, thrived professionally and socially, and bought back all the lands that were sold to secure him his future. The saying “If you lose your house you would not bother about the cupboards” tragically applies to Lebanon. Those who find it strange that the country has completed a full year without an elected president need only to remember that Lebanon is an “occupied” country anyway. In occupied countries there is no need for a president, a prime minister, a government, a parliament or an army; after all, the “forces of occupation” are actually running the show. Those who listened in the past few days to the de facto “governors-occupiers” couldn’t have failed to notice that they behave as if there is no state and no state institutions. Hezbollah’s secretary general, Hassan Nasrallah, practically declared a state of “general mobilization” after his cross-border wars fought with scant regard to the existence of a government in which his party is represented. In the same atmosphere of “general mobilization”, Nasrallah’s deputy sheikh Naim Qasim has been preparing the public for an attack on the Sunni Lebanese border town Arsal, aimed at driving out its population as well as the Syrian refugees it is sheltering. Sheikh Mohammad Yazbek, the party’s Judicial Committee Head told a party audience “Hezbollah never involved nor would it involve the Lebanese army in any battle as some claim”. He continued “just the opposite is true, we are behind it and with it, but when the state and government relinquish their responsibilities in safeguarding the security of our people, we find ourselves obliged to confront the danger for the sake of our folks and areas”. Another high ranking party official, Mahmoud Qemati, conveyed the same message at a rally in a mixed-denomination district in northern Lebanon, saying “the takfirists terrorists will never be allowed a free hand in Lebanon”. 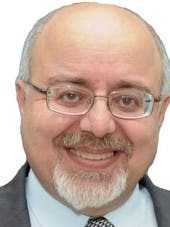 All the above statements lead one to realize that Hezbollah already possesses a decisive well-defined strategy that needs no “green light” from anyone, including the “state”; but in case some Lebanese oppose it, those will be the ones accused of sectarianism, extremism, takfirism and terrorism… then, of inciting civil strife and forcing partition! 1. It has become clear, albeit too late perhaps, that Hezbollah is not an independent Lebanese party, but rather a religious and sectarian body strategically linked to the religious-security state apparatus that governs Iran; and thus, it is part and parcel of Iran’s geo-political project in the Arab East. 2. This project would not have reached this stage had it not been for the fact that the American administration has only now decided who are its “friends and allies” in the region. 3. As far as Lebanon is concerned, it would not have been easy for Hezbollah to take over the country and its state institutions had it not succeeded in securing an opportunist and suicidal Christian “cover”, which has neither read nor learned from history. This Christian cover has played a major role in uncovering the true nature and real role of Hezbollah. At different junctures there were new descriptions and justifications as to why such a cover was given. Be they as they may, the Christian puppets who had deluded themselves about their ability to use Hezbollah in their petty and spiteful battles eventually lost the initiative. Today, Lebanon’s Christians bear the responsibility for the failure to elect a (Christian) president. This failure also confirms the collapse of the mentality that has long misguided the “political Christianity” dinosaurs; leading them to believe in the endless viability of “the alliance of minorities”. These dinosaurs never understood and will never understand that even if they manage to win one, two, or three battles, they will lose the war. What is taking place at the moment in the north and south of Syria is proof of the failed bet of the minorities on the victory of disintegrating the Syrian regime; which has only been kept alive so far by Iran’s sectarian militia’s and Barack Obama’s preposterous Middle East policy. This article was first published in Asharq al-Awsat on May 26, 2015. Eyad Abu Shakra (also written as Ayad Abou-Chakra) began his media career in 1973 with Annahar newspaper in Lebanon. He joined Asharq Al-Awsat newspaper in the UK in 1979, occupying several positions including: Senior Editor, Managing Editor, and Head of Research Unit, as well as being a regular columnist. He has several published works, including books, chapters in edited books, and specialized articles, in addition to frequent regular TV and radio appearances.